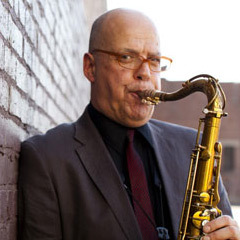 Bob Sheppard, adjunct assistant professor, jazz studies, earned his master’s degree at the Eastman School of Music. He is an in-demand session player who works extensively in film and television. He can be heard on the soundtracks of major motion pictures, such as Jerry Maguire, Leaving Las Vegas, Goodfellas, Forrest Gump, Nixon and First Wives Club, and on television soundtracks for Seinfeld, Chicago Hope, Late Night with David Letterman, Cheers and Northern Exposure. As a side musician, he is featured on a variety of recordings from pop CDs by Steely Dan, The Manhattan Transfer, Sheena Easton and Rickie Lee Jones, to jazz CDs by Scott Henderson, Dianne Reeves, Billy Childs and Michael Franks. Currently a member of the Mike Stern Quartet, he was featured on the 1998 premiere tour of Chick Corea’s new sextet, Origin. He has also been a member of the bands of such luminaries as Freddie Hubbard, Randy Brecker, Horace Silver, Lyle Mays, Peter Erskine, Billy Childs, Nat Adderley and Doc Severinson, among others. Mr. Sheppard is also a solo artist and composer. His recording debut, Tell Tale Signs (Windham Hill Jazz), was produced by Steely Dan’s Walter Becker.